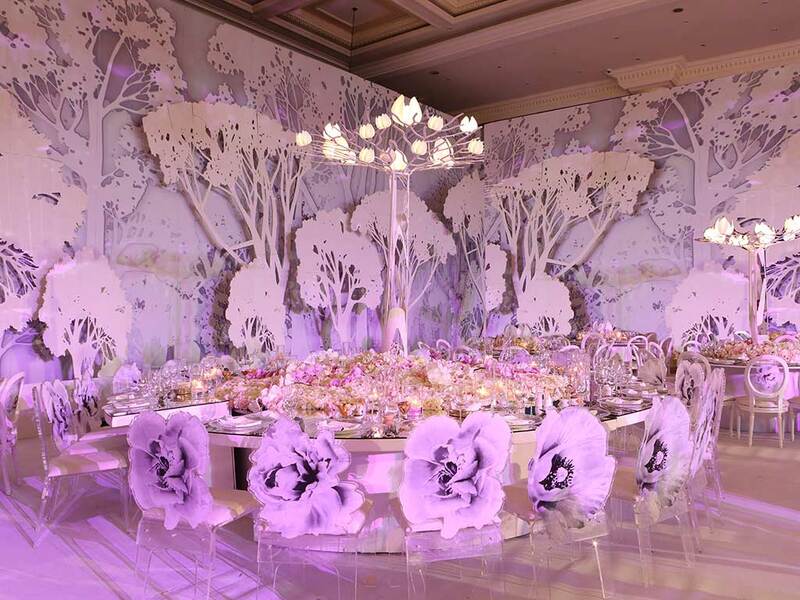 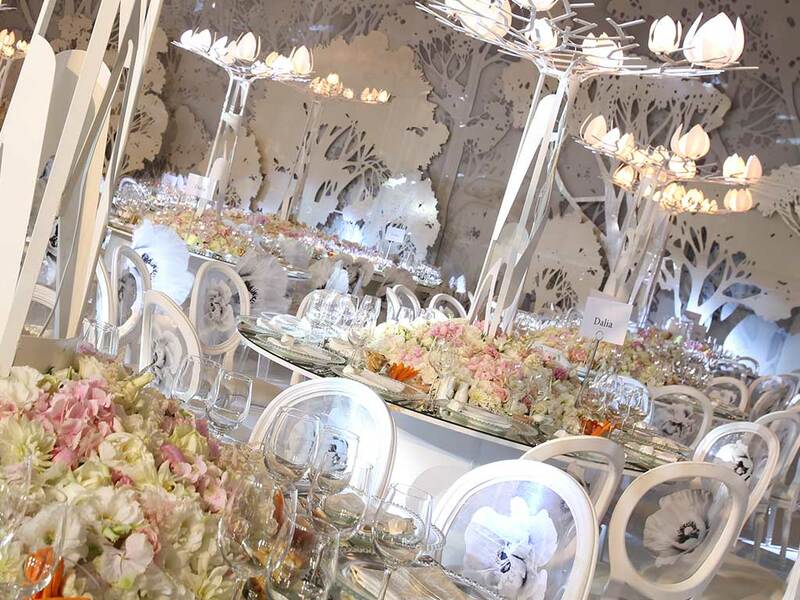 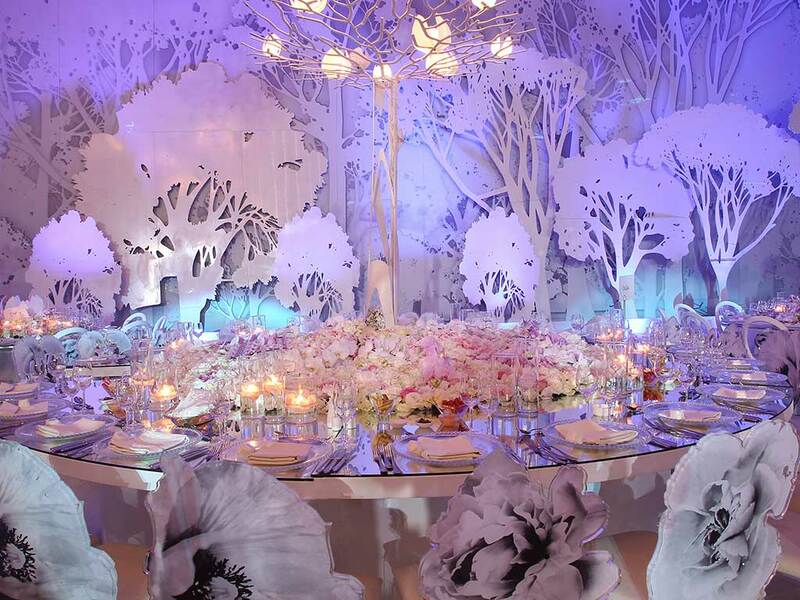 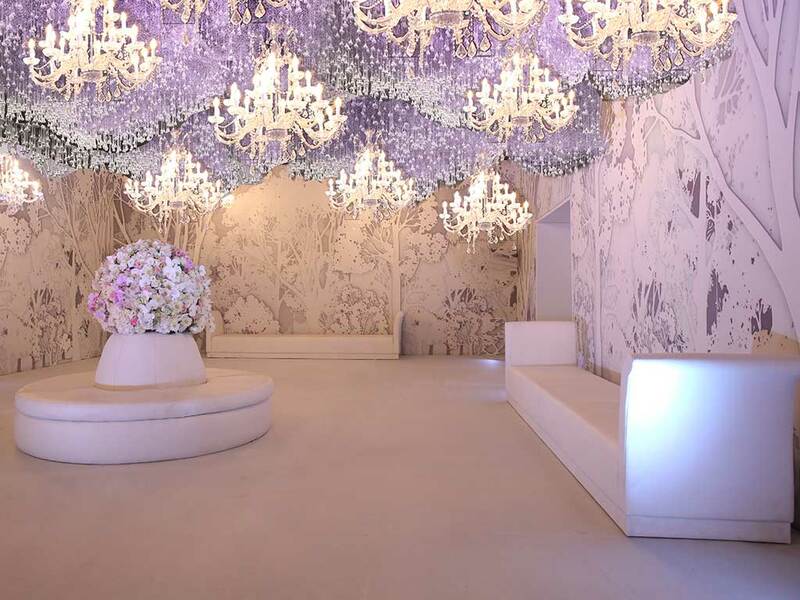 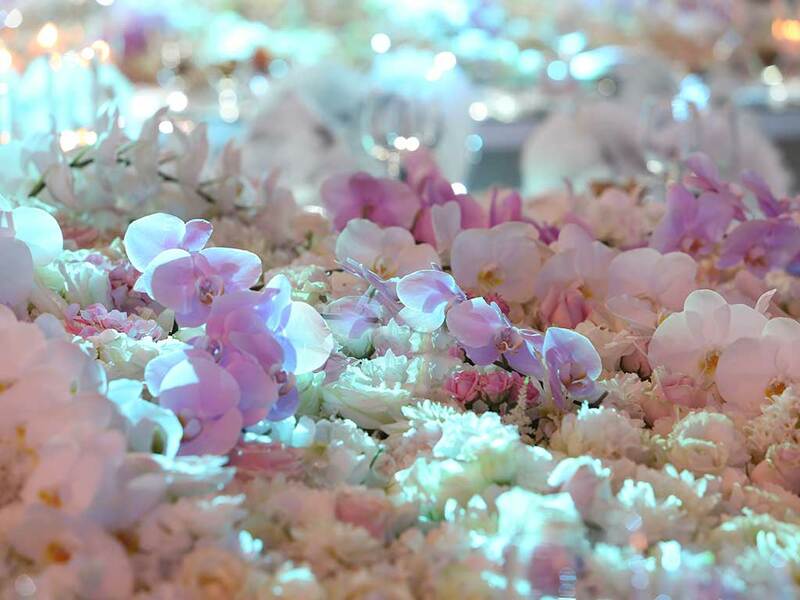 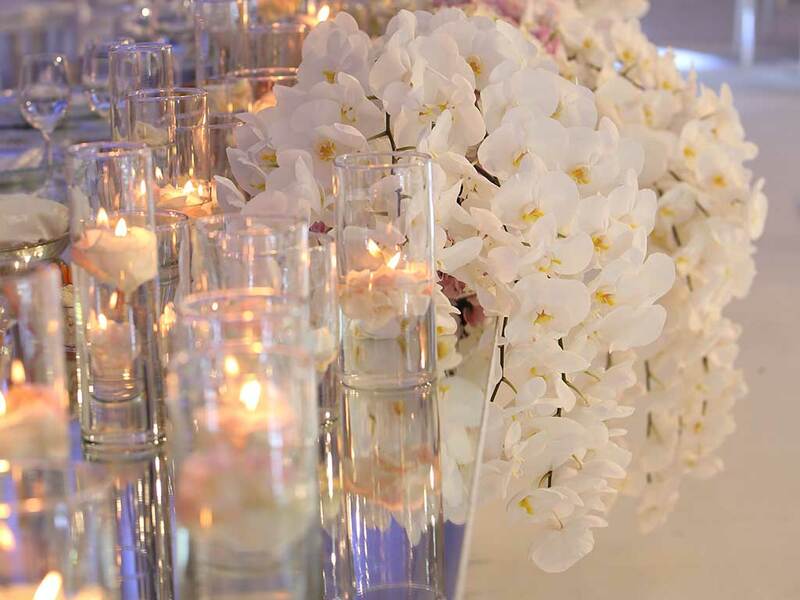 Different types of luxurious light-colored flowers decorated the place from roses, lotus, orchids and peonies and gave the ceremony a glamorous yet gentle touch. 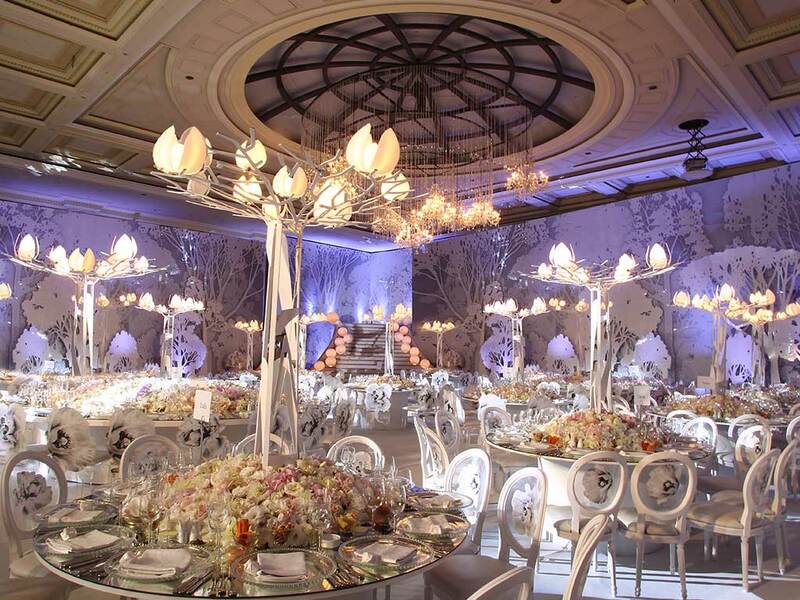 Furthermore, the chairs were decorated with flower-shaped stickers on the back, which added to the beauty and charm of the place. 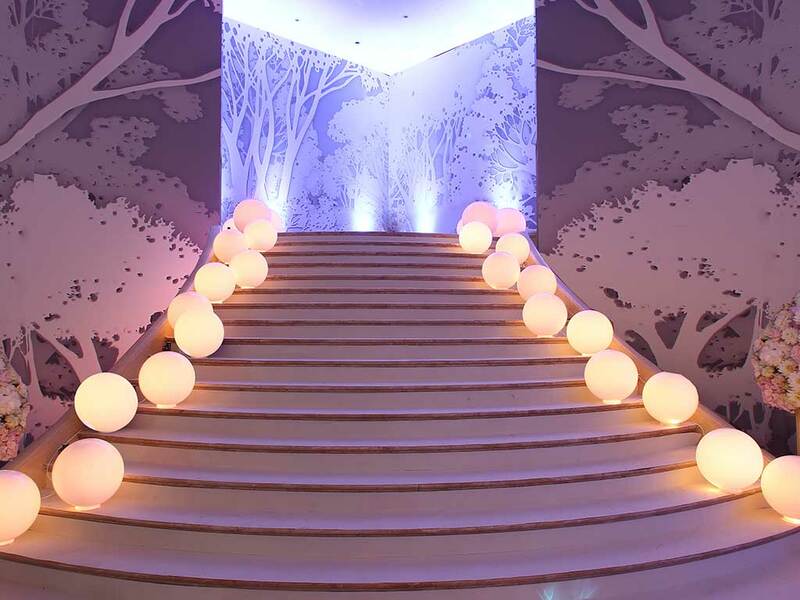 White tree-shaped die-cuts were placed on different levels all around the hall to give depth to the walls.